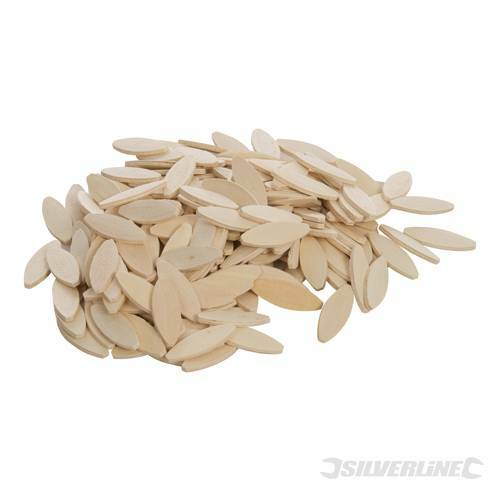 A pack of 200 No 20 biscuit joiners from Silverline Tools. These biscuits will forms accurate, high strength joints in soft or hard woods, plywood, composition boards and other timber. Much faster and more precise than dowelling. The biscuits are made of compressed laminated hardwood which expands upon contact with a woodworking adhesive. Pack of 200. Superb value and quality from Silverline Tools.